The popular South African cleric identified as the Prophet Lesego Daniel, who at one point asked members of his church to eat grass and drink gasoline for all kinds of miracles, has found a way to dominate the main headlines once again about his strange ways of perform a miracle. 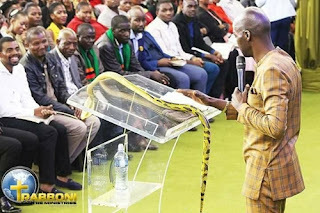 The General Supervisor of the Ministries of the Rabboni Center has been captured on camera with a pet snake to teach the word and perform even more miracles. Photos of the church program have now circulated on the internet and for obvious reasons. 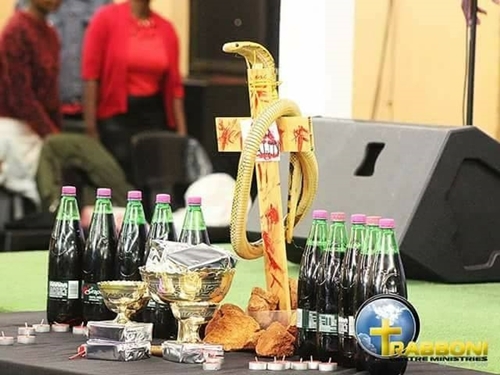 The prophet who announced that it was a service of communion, was seen as he wrapped his serpent around a cross and placed it in the midst of liquid mixtures to be drunk by the congregation. 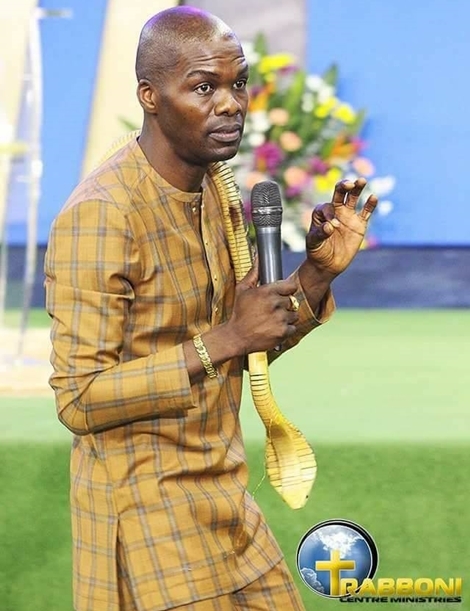 The prophet Daniel went on to preach the word and showed the serpent as a sign to activate miracles. The members did not retreat as seen in the photos and some even seemed to be enjoying the preaching of the seemingly enlightened man of God.